For many PC gamers, wired accessories are preferable to wireless. Why? Well, besides potential lag with keyboards and mice, there is a fear of having batteries die during a match. When gaming, nothing is worse than having your mouse, keyboard, or headset stop working. To lose because of such nonsense is utterly maddening. What if you want the reliability of a wired headset, for instance, but crave the wireless freedom a Bluetooth model offers? Today, HyperX unveils a new headset that is both wired and wireless -- the best of both worlds. 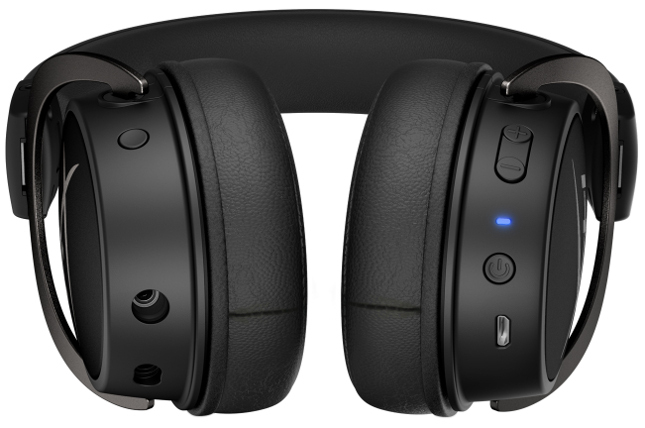 Called "Cloud MIX," the headset can achieve up to 20 hours of battery life when in Bluetooth mode. "Integrating high quality hardware and performance, the Cloud MIX features HyperX Dual Chamber Technology and 40mm drivers for vivid and accurate sound. Designed for gamers wanting a wired connection for console and PC gaming and a Bluetooth option for on-the-go entertainment. 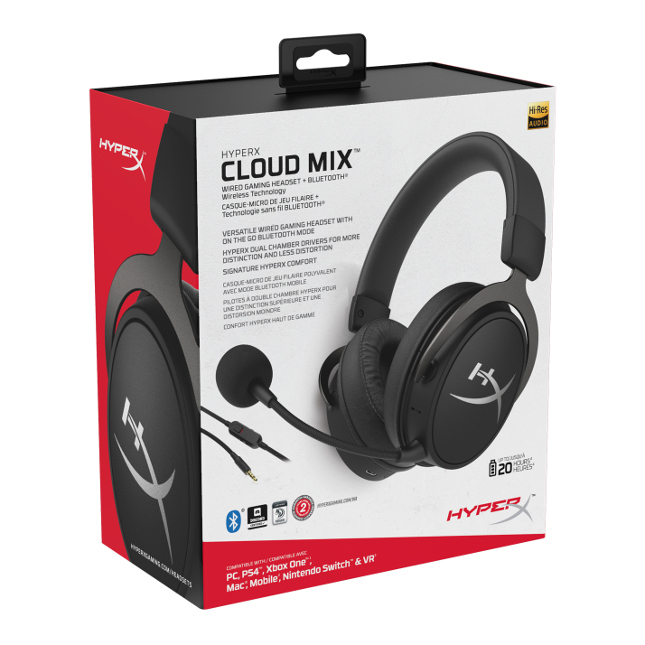 Cloud Mix is Hi-Res Audio certified and meets Hi-Res sound requirements up to 40,000 Hz while wired," says HyperX. 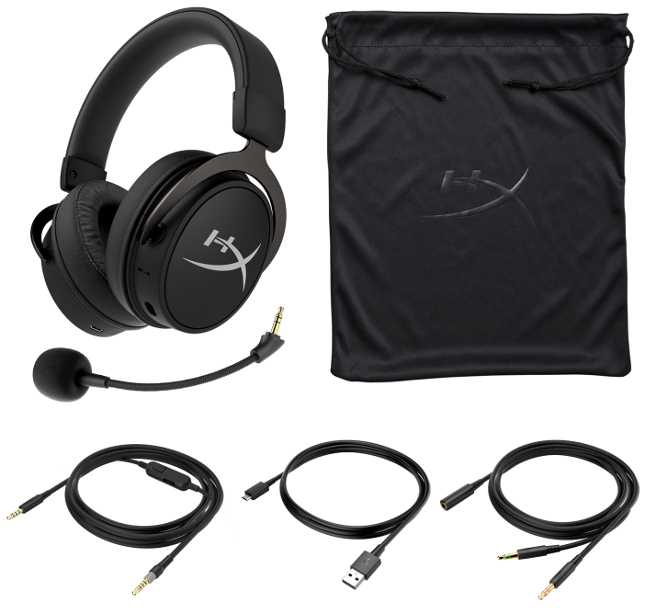 Kingston's gaming division further says, "The Cloud MIX is equipped with two microphone options, a flexible detachable gaming mic that is TeamSpeak and Discord Certified for game chat, and an internal built-in mic for Bluetooth mode offering a more travel-friendly headset for phone calls, mobile gaming and other entertainment. Cloud MIX also offers intuitive onboard controls for quick access to audio and mic controls, including audible indicators displaying headphone status in Bluetooth mode. Cloud Mix features a detachable braided cable and is compatible in wired mode with platforms with 3.5mm ports and compatibility in wireless mode with Bluetooth-ready media devices for up to 20 hours of use." HyperX shares the following specifications. This beautiful Cloud Mix headset can be had immediately for $199.99. For whatever reason, it is a Best Buy exclusive, however, so you cannot buy the product anywhere else. To purchase your own, simply visit the page here.